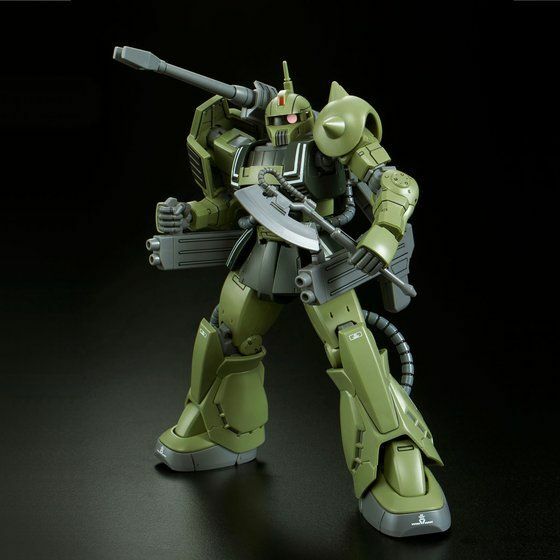 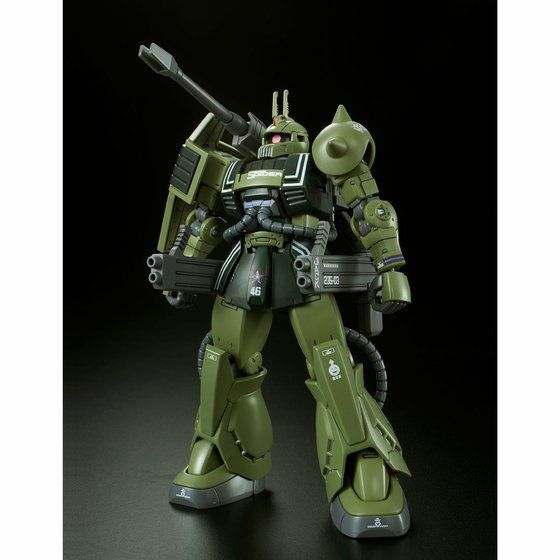 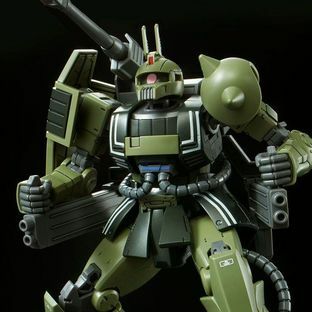 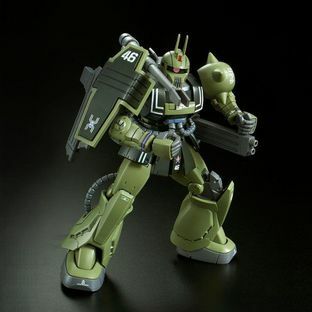 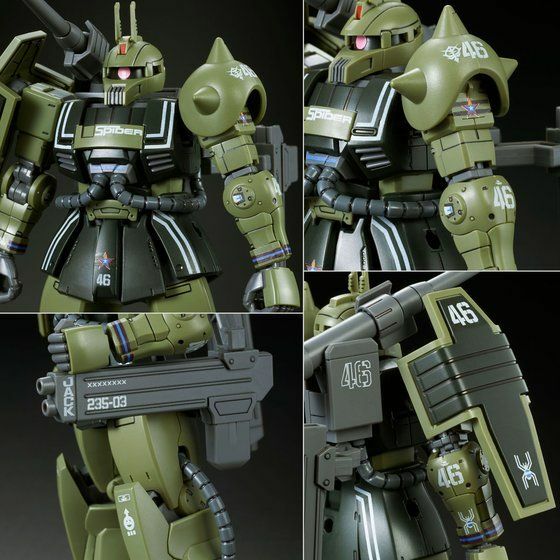 Zaku Cannon, part of the "Zaku" variation lineage, is released in HG kit. Modeled based on Zaku Cannon's first appearance in MSV along with new interpretations in MSD ! Leg parts are reproduced by new moldings, and its characteristic color pattern is reproduced by color molding ! 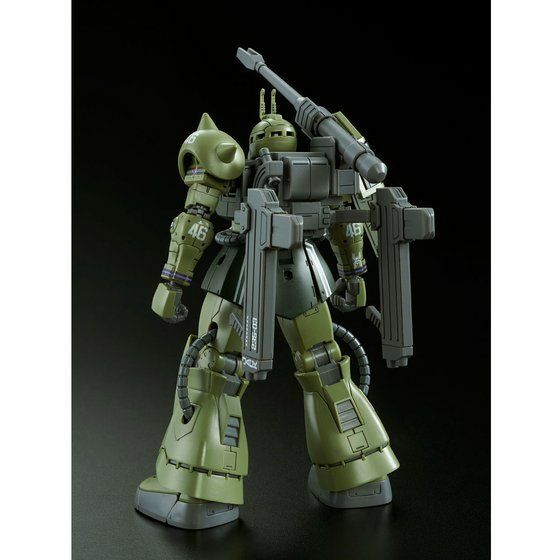 ●　Zaku Cannon's characteristic suit form reproduced with new moldings ! 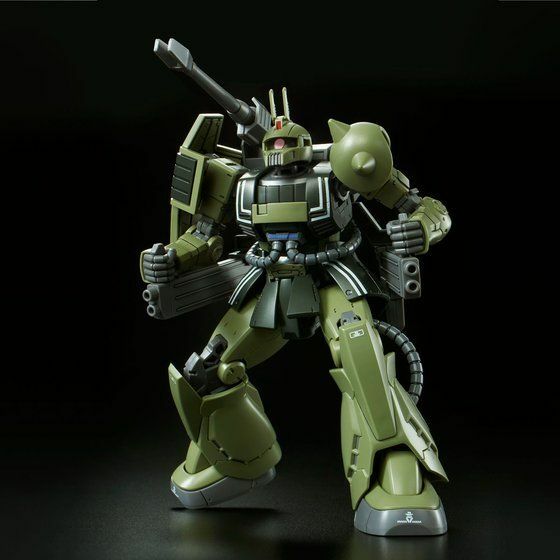 MSV version's characteristic leg armor parts are reproduced by new moldings. 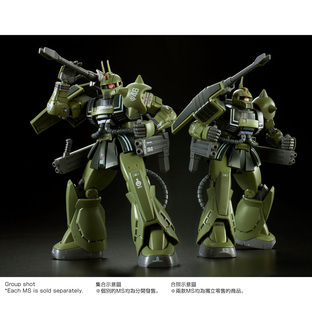 The MSV version armor from the knee to the shin are reproduced by new moldings. 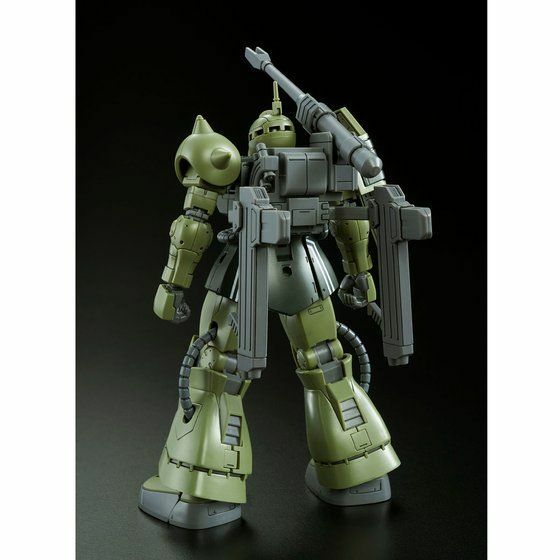 ●　MSV version Zaku Cannon's suit color is reproduced by color molding ! Zaku Cannon's characteristic two green colors are reproduced by color molding with new interpretations as shown in MSV. 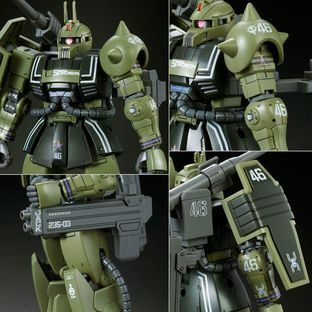 ●　An original marking sticker that newly includes the suit's characteristic line mark is included ! ●　Capable of reproducing two types of head parts by selection ! 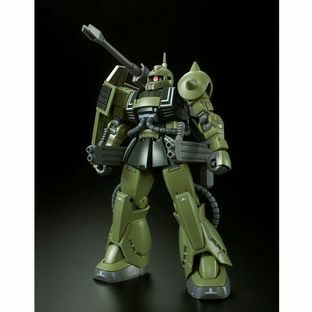 Capable of reproducing either the regular-type head or the rabbit-type head by selecting one of the two during assembly. 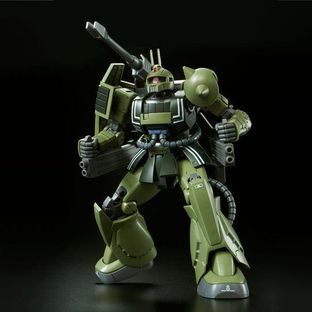 and also a Heat Hawk that can reproduced the stored and activated versions.